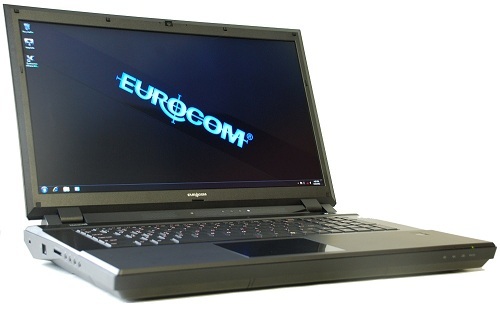 Eurocom (www.Eurocom.com), is launching the NVIDIA Quadro K5000M professional class graphics cards in its Scorpius Mobile Workstation. The NVIDIA Quadro K5000M is designed to accelerate design and content creation for professionals with up to 4GB GDDR5 memory and 1344 CUDA cores. NVIDIA Quadro K5000M is manufactured on the newest 28nm kepler based GPU architecture from NVIDIA and is the most powerful professional-class mobile GPU from NVIDIA, delivering unseen efficiency and compute power. The EUROCOM Scorpius with NVIDIA Quadro K5000M is ideal for professional applications such as video editing, color correction, compositing, design visualization and GPU-accelerated ray-traced 3D rendering. NVIDIA Quadro GPUs are designed and built to provide leading performance, reliability, compatibility and stability with applications like Adobe Creative Suite 5.5, Autodesk 3DS Max, Autodesk Autocad 2011, Autodesk Inventor 2012, Avid Media Composer, Dassault Catia, Dassault Solidworks, Siemens X, ANSYS, MATLAB, Dassault Simulia, among many others. With a massive 4 GB of Error-correcting code video memory and 256 bit bandwidth, users can display extremely complex scenes and models as well as calculate large datasets with ease, on the go, thanks to the EUROCOM Scorpius High Performance Mobile Workstation Computer. ECC memory detects and corrects common types of data corruption and is ideal for professionals who cannot permit data corruption. The Scorpius was designed as a high performance notebook computer platform with long lifespan and full upgradeability, it supports 4 RAM slots for up to 32 GB of DDR3-1600 memory and up to three internal 1TB physical drives with RAID 0/1/5 plus support for an mSATA SSD. Using durable ABS plastics and top quality manufacturing technology, the Scorpius weighs just 3.5kg (7.7lbs) and is less than 50mm (1.9 inches) when closed, an astonishing feat of engineering considering the level of power under the hood. Its strong chassis can take unintentional abuse while on the go while being used for heavy duty computing by engineers and professionals of all kinds. Eurocom offers Quad buffered stereo support in quad buffered stereo applications with 3D stereoscopic glasses in all Eurocom Mobile Workstations, 3D displays and NVIDIA Quadro high end solutions. The 120Hz 3D signal is outputted to an external monitor via DVI-DL (DVI Dual Link) port.